We are a small group of passionate and committed professionals who are focused on finding and developing the best health care solutions for pets. We believe that science and nature can work in harmony to meet the animal health challenges of the future. Thomas Labs® was founded in 1978 with the goal of providing smart, safe supplements and health-specific therapies for dogs, cats, fish, bird, and farm animals. The company works with veterinarians and animal care specialists to create unique formulas for the treatment of both common and hard-to-treat health issues for pets and service animals. Thomas Labs® wants what is very best for pets, which is why we strive to offer high-quality and cost-effective solutions. We believe that pet health is much more than just a business... it’s a calling. 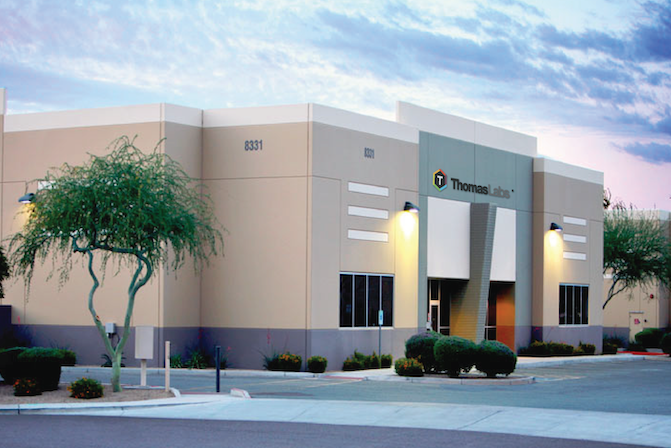 Thomas Labs® is committed to quality and innovation. We believe there are no shortcuts in the pursuit of new, effective pet health solutions. We source our ingredients from the best suppliers, and we only choose safe, effective ingredients. We don’t offer products that we would not feel 100% confident giving to our own pets. Caring for the health and well-being of pets is a sacred trust. We have become a trusted source for our customers over the years. We care about your pet’s well-being as much as we care for our own pets and family. Call Thomas Labs at 1-800-359-8387, or email info@thomaslabs.com for information.